Emerson, Lake and Palmer’s Seventies Heyday. Emerson, Lake and Palmer were without doubt, one of the most ambitious and innovative of the British progressive rock bands. They released seven groundbreaking studio albums, where they pushed musical boundaries to their limits. That’s not forgetting the two live albums, Pictures At An Exhibition and Welcome Back My Friends to the Show That Never Ends… Ladies and Gentlemen. However, the Emerson, Lake and Palmer story began as the sixties gave way to the seventies. Tarkus was released in June 1971. That wasn’t originally the plan. Instead, Pictures At An Exhibition was meant to be Emerson, Lake and Palmer’s sophomore album. This was a live album which was recorded in March 1971. It saw Emerson, Lake and Palmer interpret Modest Mussorgsky’s opus Pictures At An Exhibition. it was a groundbreaking album. There was a problem though. Emerson, Lake and Palmer’s management didn’t agree. They weren’t sure that what essentially an interpretation of a classical suite was the direction Emerson, Lake and Palmer should be heading. So, Tarkus became the followup to Emerson, Lake and Palmer. On its release in June 1971, critics realised that Tarkus marked a much more united Emerson, Lake and Palmer. They were well on the way to finding their trademark sound. Gone were ballads and jazz-tinged tracks. Instead, it was prog rock all the way. Record buyers loved Tarkus. It reached number one in the UK. 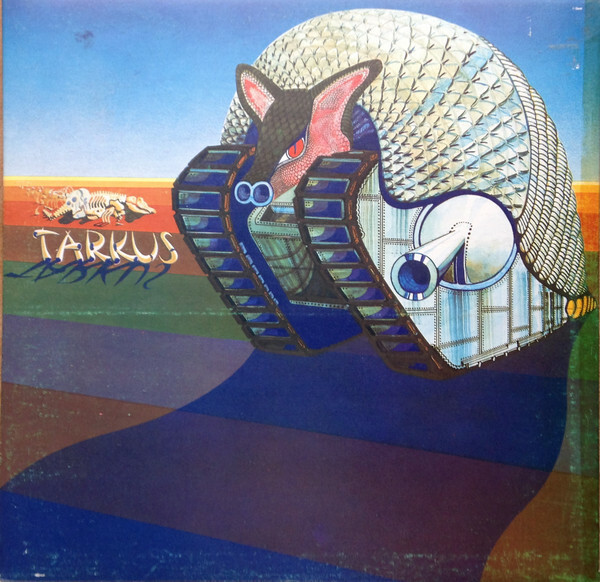 Over the Atlantic, Tarkus reached number nine in the US Billboard 200 and was certified gold. Emerson, Lake and Palmer had released the best, and most successful album of their career. ing the commercial success of Tarkus, Emerson, Lake and Palmer’s were keen to release Pictures At An Exhibition later in 1971. 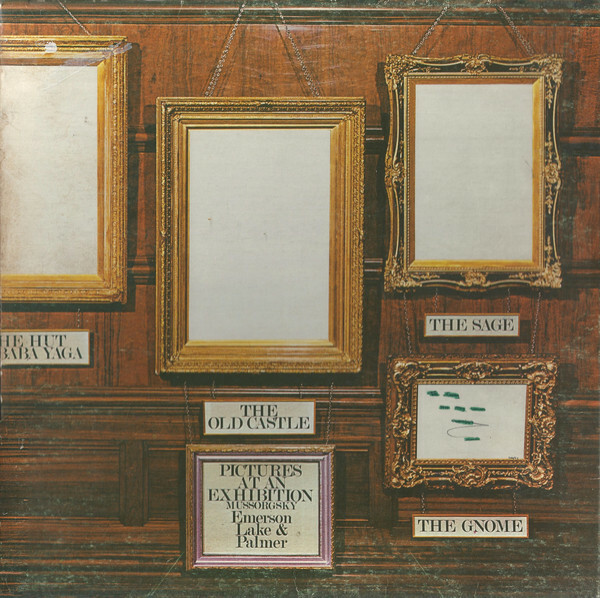 When Pictures At An Exhibition was released in November 1971, it reached number three in the UK. In America, Pictures At An Exhibition reached number ten in the US Billboard 200. This resulted in Emerson, Lake and Palmer’s third consecutive gold album. It was recently reissued as a two disc set, and features two live albums for the the price of one. The first disc features the 2012 remaster of Pictures At An Exhibition, plus bonus tracks. This includes The Pictures At An Exhibition Medley, which was recorded The Mar Y Sol Festival Puerto Rico on 4th December 1972. 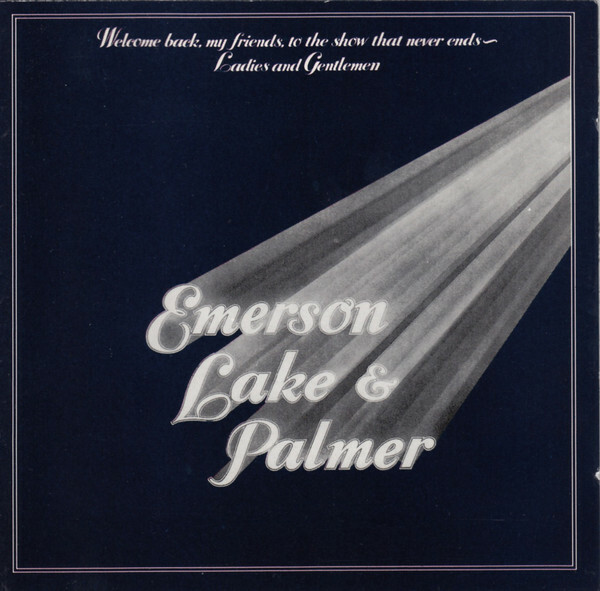 Then on disc two which was remastered in 2o12, there’s another chance to hear Emerson, Lake and Palmer live. Five nights after they played in Puerto Rico, Emerson, Lake and Palmer recorded Live At The Lyceum Theatre, London on 9th December 1972. That night, Emerson, Lake and Palmer work their way through fifteen tracks. and in the process, show that live, they were becoming of the top progressive rock bands. Emerson, Lake and Palme were also one of the biggest selling progressive rock bands, and were about to enjoy release another successful album, Trilogy. On its release in July 1972, Trilogy reached number two in the US. As usual, Emerson, Lake and Palmer enjoyed more success in the US. Trilogy reached number five in the US Billboard 200. This resulted in another gold disc for Emerson, Lake and Palmer. 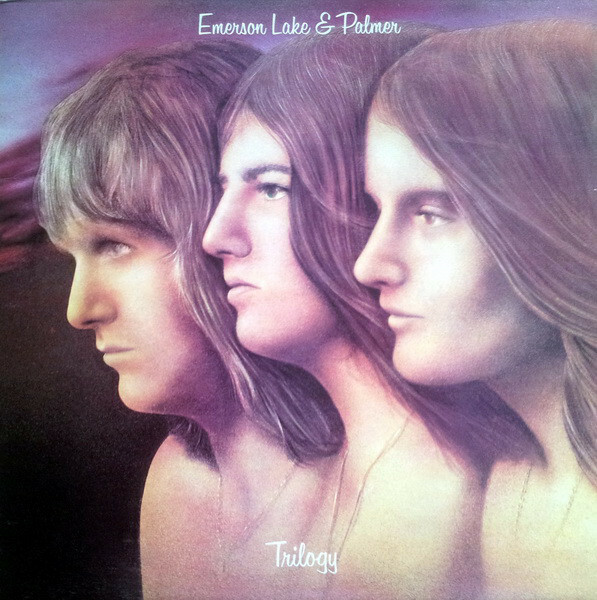 In the space of just two years Emerson, Lake and Palmer were one of the most successful progressive rock bands, and were had released what was their most ambitious album, Trilogy. Trilogy features a band in the middle of the hottest streak of their careers. Incredibly, though things were about to get better for Emerson, Lake and Palmer though. 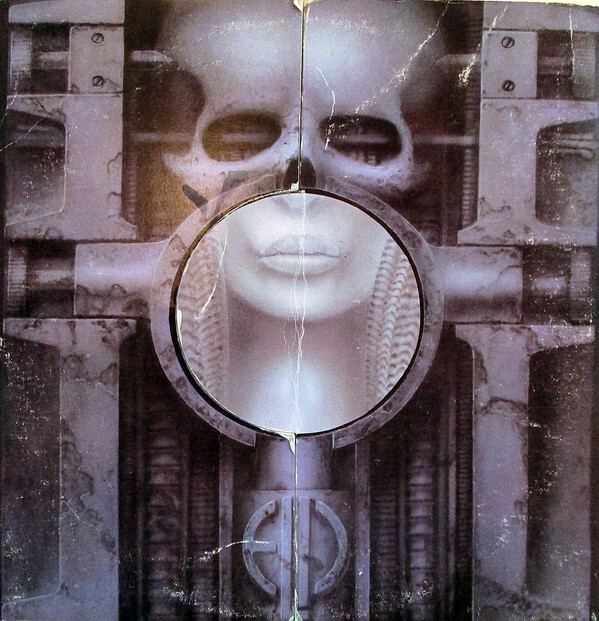 When Brain Salad Surgery, was released in November 1973, it became Emerson, Lake and Palmer most successful album. It reached number two in the UK and number eleven in the US Billboard 200. This resulted in two more gold discs to add to Emerson, Lake and Palmer’s collection. They were well deserved though as Brain Salad Surgery was one of Emerson, Lake and Palmer’s finest hours. This they followed up with another live album. 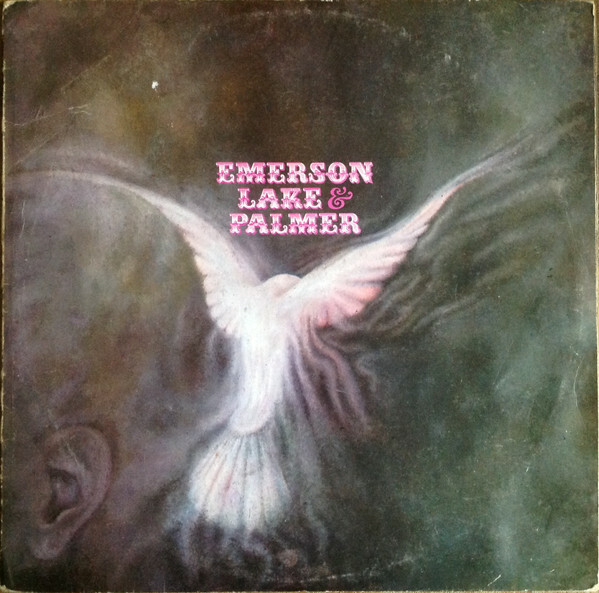 For many people, Emerson, Lake and Palmer released some of their finest music during the early years of their career. This includes their first four studio albums, 1970s Emerson, Lake and Palmer, 1971s Tarkus, 1972s Trilogy and 1973s Brain Salad Surgery. That’s not forgetting Emerson, Lake and Palmer’s first two live albums, 1971s Pictures At An Exhibition and 1974s Welcome Back My Friends to the Show That Never Ends… Ladies and Gentlemen. These six albums feature Emerson, Lake and Palmer at their innovative and groundbreaking best. Even today, Emerson, Lake and Palmer’s music continues to influence a new generation of musicians. Especially, the music Emerson, Lake and Palmer released between 1970 and 1974. During that period, Emerson, Lake and Palmer were a visionary band, who created what was without doubt, the best music of their career. The albums Emerson, Lake and Palmer recorded during that four year period, aren’t inventive, innovative and influential, but timeless, epic and ambitious that feature a group at the peak of their creative powers. ← THE LIFE AND CAREER OF KAREN DALTON. I’m not really a rock music fan. I found this post informative. Never a prophet in your own land – I guess but wow, hard to imagine with those heavy hitters.